It was a grand gathering of African leaders at Beijing’s Great Hall of the People this week for the third Forum on China-Africa Cooperation summit. 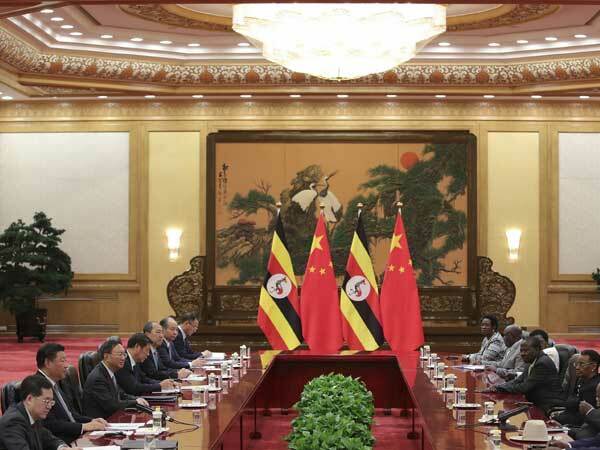 The leaders listened in rapt attention to Chinese President Xi Jinping make a fresh commitment of $60 billion for developmental projects under China’s massive Belt and Road Initiative in Africa. The Chinese leader also promised to write off part of the debt for poorer African nations. The last China-Africa Forum summit took place three years ago in Johannesburg, South Africa when Xi Jinping had offered $60 billion for developmental projects. The first summit was held in Beijing in 2006. Africa is an important component of China’s global initiative to link different regions of the world to China, from Africa, Latin America, the West Asia, Southeast Asia, Central Asia and Europe. Resource-rich Africa is of strategic importance to Beijing, which has established its first overseas military naval base in the east African nation of Djibouti. The Belt and Road Initiative has come under criticism over some large projects, which built excess capacity, are not financially viable or environment friendly and have pushed the recipient countries into huge debt. But the African leaders were unfazed by the criticism and most of them welcomed the announcement of the additional financing. Almost all African states have large on-going Chinese financed infrastructure projects, including railways, bridges, dams and power plants. About 72 per cent of Kenya’s debt is owed to China, while China owns 82 per cent of Djibouti’s external debt and there are reports that Beijing may take over a cargo terminal project in the tiny country’s main port close to where the US has its main military base in Africa. But it is the large trade imbalance with China that disturbs African leaders, some of whom raised the issue during the summit. China has sought to deflect criticism by making some changes in the five-year-old initiative following reports of some countries having to rework project proposals or even cancel Chinese projects because they were not sustainable. Beijing is now offering grants and low-interest foreign aid. President Xi said that China would sponsor infrastructure development that would be green and sustainable, while he warned that funds should not go towards what he called “vanity projects”. He promised 50 projects for green development and environmental protection in Africa in areas such as fighting desertification, wildlife protection and climate change. Earlier, speaking at a seminar to mark five years of launching the Belt and Road Initiative, Xi said that the BRI was an open and inclusive process, and not about creating exclusive circles or a “China club”. China has been charged with over-selling projects with opaque funding, and later renegotiating contracts to acquire equity and control of the projects when the recipients are unable to repay the loans. Faced with mounting debt, Sri Lanka’s government negotiated a fresh contract and handed over control of Hambantota port to Chinese government owned companies for a 99-year lease. Malaysia recently cancelled a major Chinese funded railway project on the grounds that it was too large and would create a huge debt burden. Myanmar has also reduced the scope of the deep sea port project at Kyaukpyu on the Bay of Bengal coast for similar reasons. Some concerns have been expressed in Pakistan over the growing debt due to some of the China-Pakistan Economic corridor projects. Beijing has denied that Chinese financed development projects have led recipient countries into debt. Chinese media has accused Western researchers and media of deliberately misrepresenting China’s assistance to African and other countries. China is the biggest aid contributor to African Union countries and the largest trading partner for the region for the past nine years. Africa’s growing economies provide China with a large market in the region; Chinese exports rose by about 14 per cent last year. With trade imbalance becoming a sensitive issues, Beijing is looking at importing more agricultural produce from Africa. China imports large quantities of oil from some African countries. As Xi reminded the leaders, China’s investment “comes with no political strings attached”. It was a statement that it meant to emphasize that Beijing, unlike western countries keeps off from commenting on internal developments in African countries. There were three new African members at the summit who had cut ties with Taiwan and established diplomatic ties with Beijing in the past three years. Only one African nation, eSwatini, formerly Swaziland still maintains ties with Taiwan. About 50 African leaders attended the summit showing the kind of influence China has in Africa.